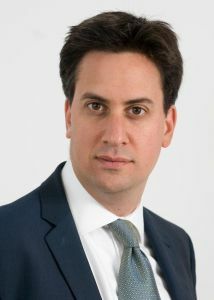 Below is the text of the speech made by Ed Miliband, the Leader of the Opposition, in London on 17th January 2014. It is about those families who work all the hours that God sends and don’t feel they get anything back. It is about the people who go to bed anxious about how they’re going to pay their bills. It is about the parents who turn to each other each night and ask what life their sons and daughters are going to have in the future. It is about those just starting out who can’t imagine they will ever afford a home of their own. It is about the most vulnerable in our country who feel they are just being tossed aside. And it is about all those who are doing OK but still feel Britain should be doing a lot better. It is about who we are as a country. And who we want to recover to be. It is about all those who believe that we’re Britain and we should never settle for second best. All those millions of people who believe, like I do, like you do: We’re Britain, we’re better than this. But we can only do better if the conversation in politics catches up with our country. The problems in the eurozone. Ups and downs on the stock market. They are the daily stuff of politics. But all the while something just as important, something even deeper, has been going on. And we have been far too silent about it. That is the cost-of-living crisis. Some people in Westminster still ask me: is the cost-of-living crisis really such a big deal? Isn’t it just a short-term problem? This shows they just don’t understand. The cost-of-living crisis is the single greatest challenge our country faces. Not since the century before last have we seen such a sustained fall in living standards. What is the cost-of-living crisis? On my very first day as leader of the Labour Party, I talked about the squeezed middle. I realise now that back then I didn’t grasp the full scale of the problem. It only really came home to me later. And since then we’ve had three more years of that squeeze. It is why I focused on it in my Labour Party conference speech this year. And today, I think about the fragments of the conversations I have had since then, about the problems people face. “My wages are stuck but all the bills carry on going up. I just can’t get the hours I need so everything is a struggle. I just can’t afford this government. I don’t know how much I am going to earn from one week to the next. Work sixty hours a week. I have to do two jobs. “And what’s going to happen to my kids when they grow up? Will they get a regular job? “They tell me on the news the economy is fixed. And the people at the top they certainly seem to be doing OK. It is used to be that this country worked for ordinary people. It just doesn’t seem to any more. You see, this cost-of-living crisis is about the pound in people’s pocket today. But it is not just about that. It reaches deeply into people’s lives. Deeply into the way our country is run. Deeply into who our country is run for. And because the problems are deep, the solutions need to be too. That is the task for the next Labour government. At least, politicians are finally talking about the cost-of-living crisis. But talking about it isn’t enough. People need to know that we’re going to do anything about it. This government think it is all going to be OK.
Because this year the forecasts say that average wages will finally overtake prices. If they think a few months of better statistics will solve this crisis, they are just demonstrating again that they have absolutely no idea about the scale of the problem or the solutions required. It is about the nature of work and whether it is secure or insecure. It is about the prospects for people’s kids and the quality of jobs. It is about decent homes at affordable prices. It is about a strong sense that this cost-of-living crisis has been coming for a long time. And that there are some big things need to change if we’re going to sort it out. You might think that’s a good sign. But when they say that, they are not talking about your living standards. The prospects for your kids. They are just talking about the deficit. Of course, we need to reduce the deficit. That’s why Labour won’t borrow more for day to day spending in 2015/16. But deficit reduction alone can’t fix our economy. Deficit reduction alone can’t make hard work pay. Deficit reduction alone isn’t a vision for the country. And why does their vision fall so short? Because they think low wages, insecure work, the hope of a bit of wealth trickling down from the top, is the way Britain succeeds. Their economic policy is not the solution to the cost-of-living crisis. It’s part of the problem. They believe in a race to the bottom. Not the race to the top Britain needs to tackle the cost-of-living crisis. High skills and high wages. The symptoms of their failure to make the long-term changes that Britain needs are there for all to see. Personal debt for ordinary families rising again, as wages are squeezed and productivity remains low. The largest deficit in traded goods since records began back in 1955, because there’s no proper industrial policy and no plan for growth in every region. Investment 159th in the world because reforms haven’t been made so firms can take the long-term view. Over-reliance on insecure, low paid jobs, not enough of the secure, high paying ones that used to keep our middle class strong. Millions of people unable to afford to buy or rent a home, because the homes just aren’t being built. Broken markets, from gas and electricity to transport, which are not being reformed. And a banking system that still doesn’t serve Britain’s firms. House prices out of reach. Banks not serving the wealth-creators. And David Cameron and George Osborne want congratulation. This is not a recipe for building the new economy that can tackle the cost-of-living crisis. It is a recipe for clinging on to the old economy. I say: Britain can do better than this. Over the coming months, Labour will be setting out the long-term changes we need. So we earn and grow our way to a higher standard of living. A One Nation industrial policy serving every region of Britain. An end to the fast buck with a new culture of long-termism, from our infrastructure to our takeover rules to the stock market. An education policy to help provide skills, training and a career to all of our young people, not just the 50% who go to university. A plan to build 200,000 homes a year by the end of the next Parliament, so we can tackle the housing crisis. Taking on the vested interests in every broken market to get a fairer deal to help consumers. And building a banking system that serves the real economy. At our party conference in September, I talked about how we will reform Britain’s broken energy market. As you may remember, the big energy firms didn’t like it. And only Labour will put it right. Today, I want to talk about another broken market. Because there can be no bigger test of whether we are serious about building a new economy and tackling the cost-of-living crisis. Of course, financial services is an important industry in itself. But for an industry that calls itself a “service”, it has been a poor servant of the real economy. And it has been an incredibly poor servant. But for decades in this country. We need a reckoning with our banking system not for retribution but for reform. Labour has already laid out important plans to change our banking system. A Green Investment Bank, with proper powers to invest. A new British Business Investment Bank, supported by a network of regional banks in every region of the country. Britain has one of the most concentrated banking systems in the world. Just 4 banks control 85% of small business lending. The next Labour government will act. On day one of the next Labour government, we will ask the Competition and Markets Authority to report within six months on how to create at least two new sizeable and competitive banks to challenge the existing high street banks. This is not about whether we should have new banks. The question this government is still asking. It is not about creating new banks that control some tiny proportion of the market. But new banks that have a substantial proportion and can compete properly with existing banks. And we are not asking whether existing banks might have to divest themselves of significant number of branches. We are asking how we make that happen. And we will go further too. In America, by law, they have a test so that no bank can get too big and dominate the market. We will follow the same principle for Britain. And so under the next Labour government we will establish for the first time a threshold for the market share any one bank can have of personal accounts and small business lending. Preventing mergers and acquisitions over this threshold. After decades of banking becoming more and more concentrated, Labour will turn the tide. I want to send a message to our small and medium sized businesses: Under a Labour government, you will no longer be serving the banks. The banks will be serving you. You will have a better chance of getting the support you need to grow your business, employ more people, at decent wages, making profits and helping Britain succeed. Only if we take on powerful vested interests, from energy to banking, and reform broken markets, can we make the long-term changes Britain needs. And tackle the cost-of-living crisis. Optimistic about Britain and its future. Giving people a sense of hope. Or trying to win by fear. About our belief that Britain can do better than this. About how we believe we can tip the balance away from struggle and towards hope. New banks on our high street. Skills for all our young people. A new culture for long-termism. An industrial policy for every region. Building homes again in Britain. I say Britain can do better than this. To build the new economy. And leave the old economy behind. To tackle the cost-of-living crisis. That’s what the next Labour government will do.